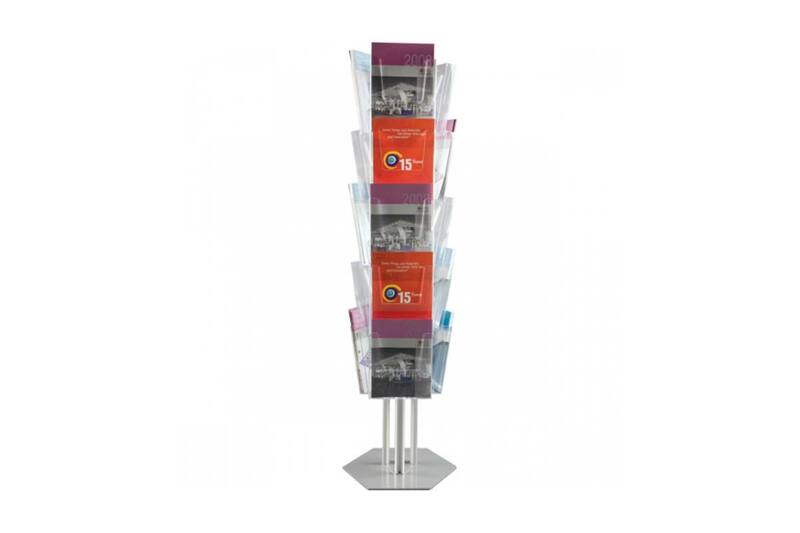 We supply a large number of brochure stands for A5, A4 brochures and magazines etc. If you require a brochure or document stand or holder please contact us at 01 4508057 or email info@signshopdublin.com. We will be more than happy to provide you with a brochure stand that meets your requirements. A4 Aluminium Brochure Stand with a heavy powder coated grey hexagonal base of steel. The 15 acrylic pockets are suitable for A4 brochures. Quick and easy to assemble. 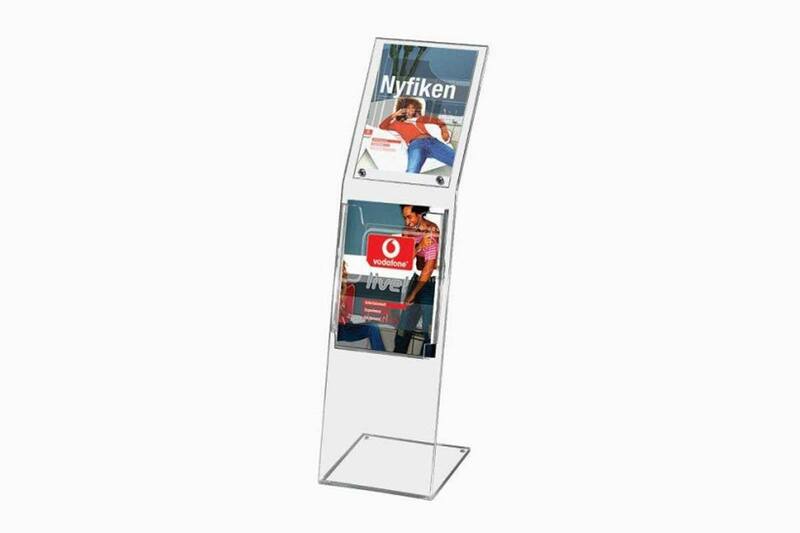 This Portrait style, A4 size brochure stand has a heavy base which provides stability making it suitable for public spaces. 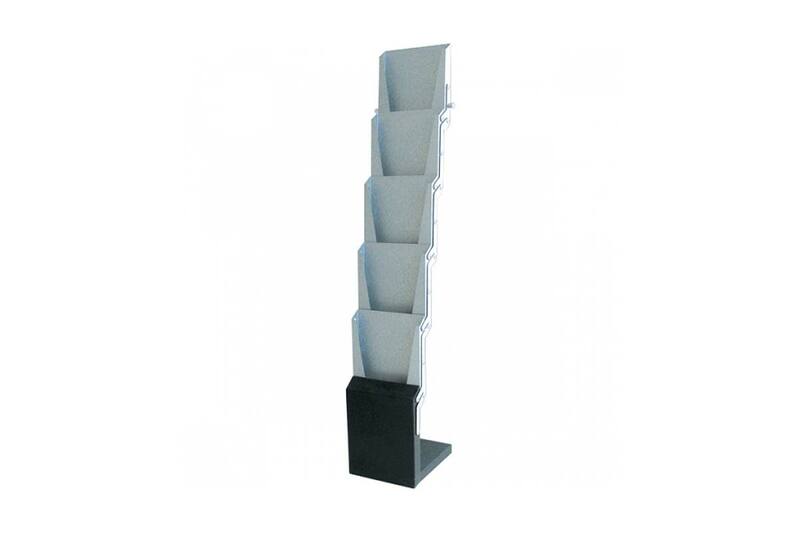 Brochure holder is made of 3mm polycarbonate which is hard to scratch and not easy to break. 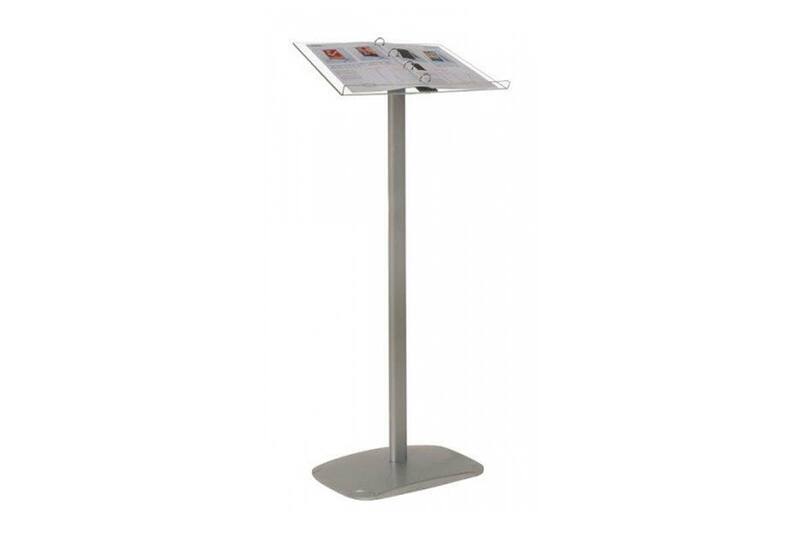 Decorative brochure stands are packed unassembled with an easy mounting instruction sheet and fixing set. Is also available in landcape on request. This stylish counter with brochure holder is suitable for exhibitions, demonstrations and other display and presentation areas. The Flex Counter comes with 3 holders for A4 brochures. Foldable and easy to transport and mount. Delivered with transport and storage protective case. 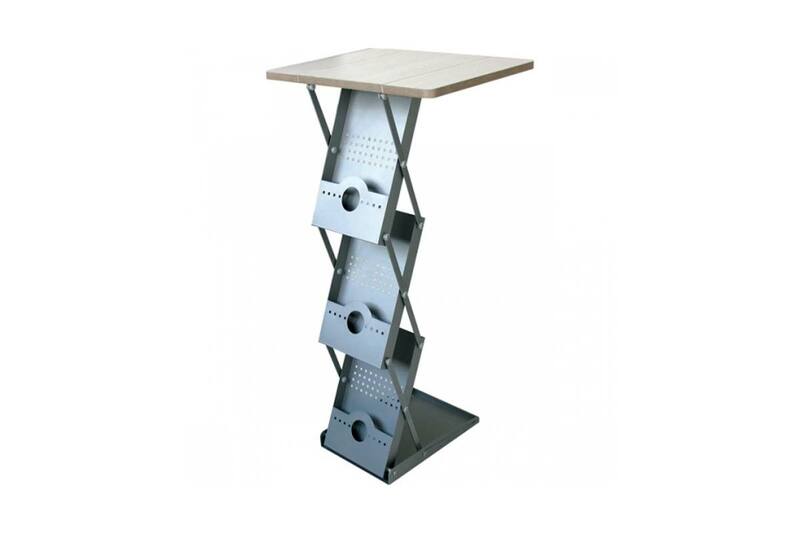 Aluminium stand with a heavy silver lacquered base. The acrylic top facilitates pages from ring binders etc for ease of use. 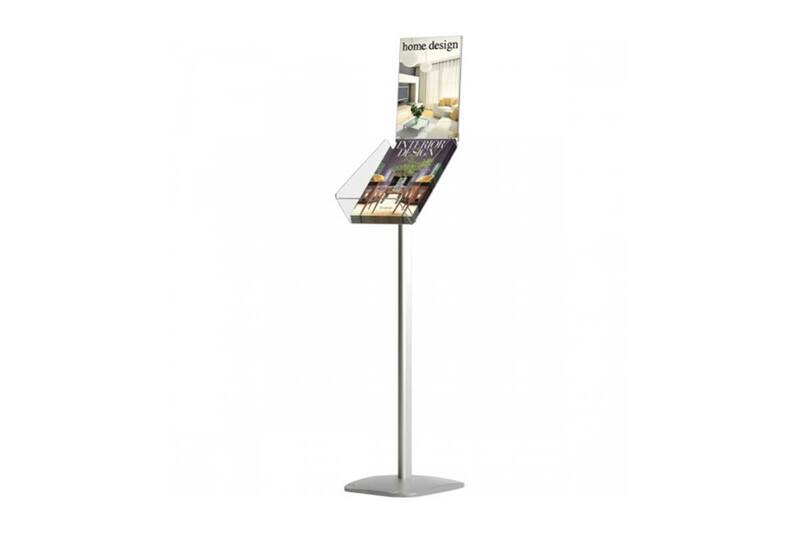 A very stylish and robust display,ideal for restaurants and showroom brochure displays etc. 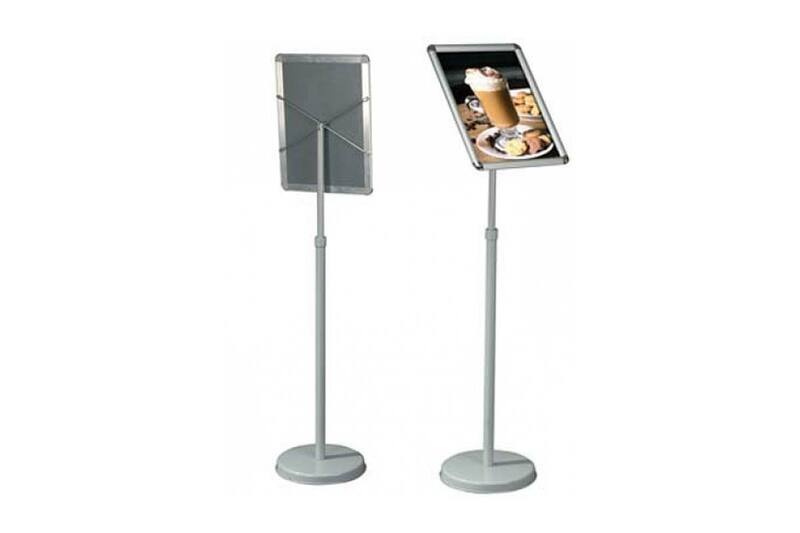 Aluminium menu board with a heavy base for stability and a telescopic leg for flexible height. The height is adjustable from 78cm to 116cm for A4 & 94cm to 122cm for A3 The stand comes with round safety corner snap frame, that can be landscape or protrait and an anti-reflex front panel. Menu boards are packed unassembled with an easy mounting instruction sheet and fixing elements. 6 x A4 Floor Standing, foldable brochure stand. 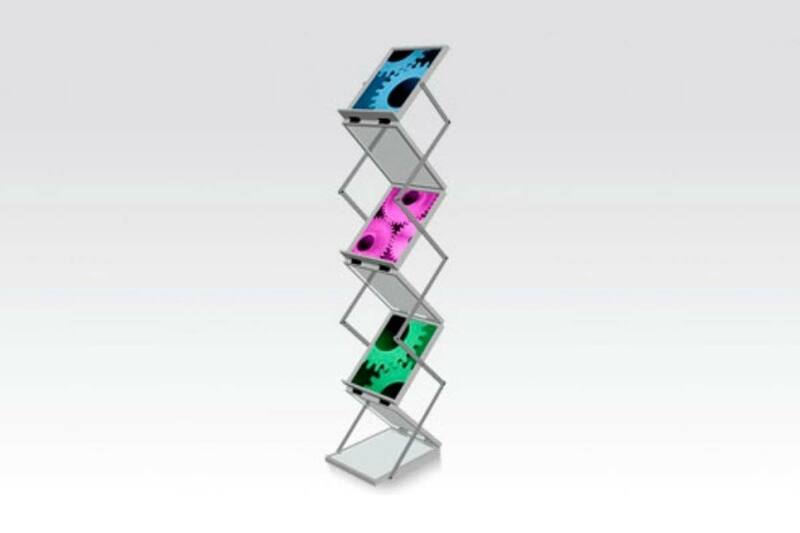 Lightweight design with the frame made of aluminium and the shelves of acrylic. Quick and easy to unfold on site. Packed in a stylish aluminium case which is included in the package. 5 panel A4 Floor standing, foldable brochure stand. Lightweight design frame made of aluminium, with black lacquered foot and grey lacquered holders. Delivered with a black storage and transport bag. An elegant & classic clear acrylic stand to display an A4 size paper message on top, with a pocket to hold A4 literature packs below. It is simple to change the message and at the perfect height to be eye-catching. Ideal for use in public galleries,restaurants & showrooms.